If you don't have time to host a fundraiser, as in a dinner party, you can still harness the power of the internet. Consider writing to your friends about Lamp for Haiti in a social media post and link it to our website. Follow us on Facebook and share our posts to tell your friends about the good work at Lamp for Haiti. These easy gestures make a big difference in reaching a broader audience to raise awareness of our inspiring work. We thank you in advance! Don't forget to ask your employer about matching funds to magnify the impact of your giving. 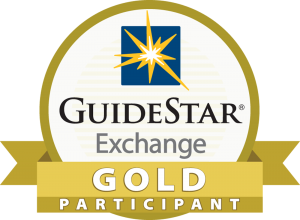 Our Gold Star listing on Guidestar.org will usually ensure our eligibility but we are happy to provide whatever documentation the employer needs. Make a donation to express your love for someone or to say thank you to someone and we will acknowledge your donation with a card so they know your gift was made in their honor. What a beautiful expression on Mother's Day, Father's Day, birthdays and holidays such as Christmas. “In memorium” gifts are also a beautiful way to honor a loved one. It only takes one minute to designate Lamp for Haiti (or The Lamp Foundation) as your charity on Amazon Smile or iGive. Then when you buy anything from those sites, the vendors donate a small portion of your purchase to the Lamp. Vendors at iGive sometimes offer over 5% of the purchase cost! Your own cost stays the same. Smile.amazon.com, for example, is an exact mirror of amazon.com, all prices are identical. Transportation of donated materials to Haiti is costly, so that not all “in-kind donations” can be used. However, the Lamp is open to donations of medicine, lab supplies, and medical equipment. Please contact Henry Reimer at henryreimer@lampforhaiti.org if you are interested in making an in-kind donation for the health center. The Lamp welcomes non-standard gifts such as stocks or other financial instruments. Designating the Lamp as a beneficiary in an annuity or will is also a marvelous way to share life’s blessings with those in need. Donations can also be based on proposals for specific projects. These proposals can be developed in collaboration with the Lamp and can be a terrific way to assist the Lamp while allowing the donor to see a specific initiative come to fruition. Please contact Cheryl Marshall-Petricoff, Director of Development, at cheryl@lampforhaiti.org to talk about developing a specific project or giving plan.